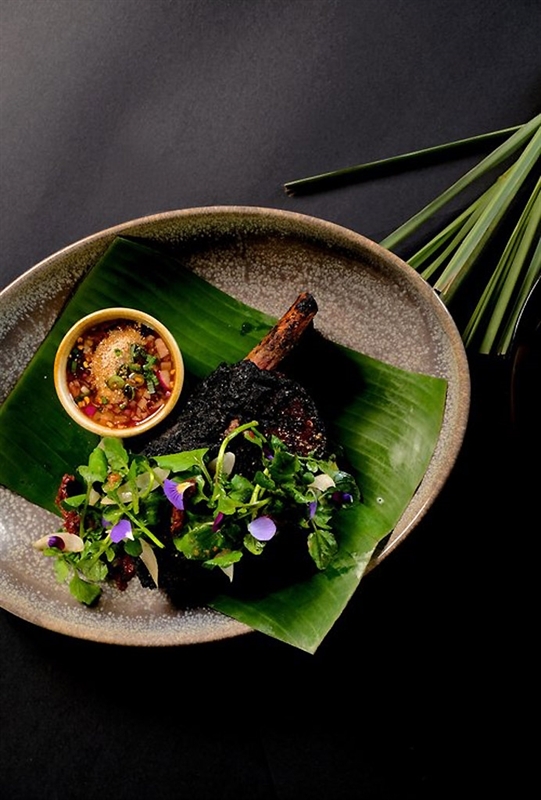 Beef Ribs: 72-hour braised beef ribs with a tamarind glaze, semi-dried tomato, dried chilli and watercress. 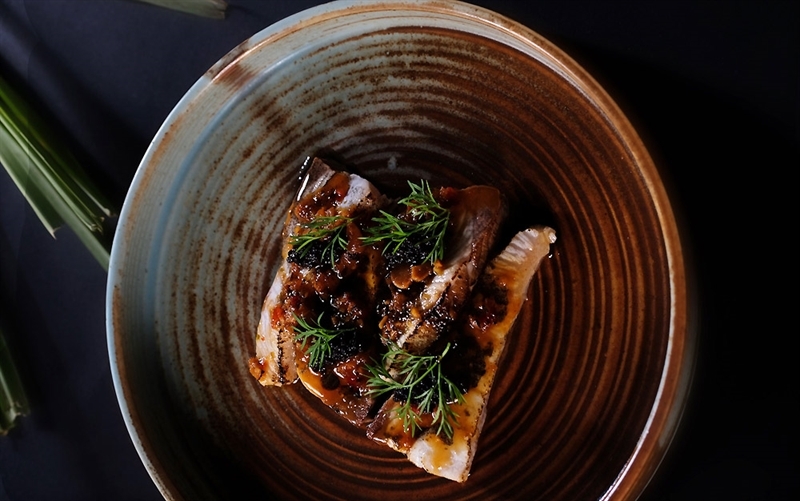 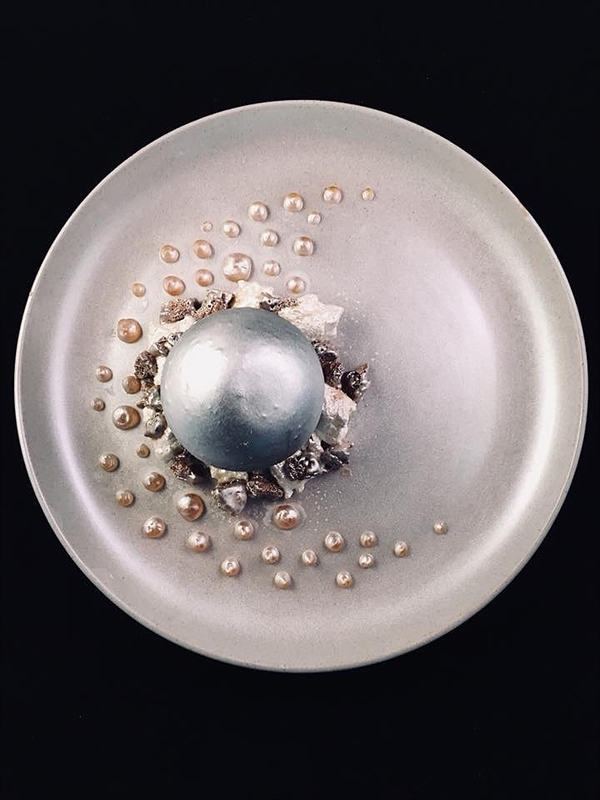 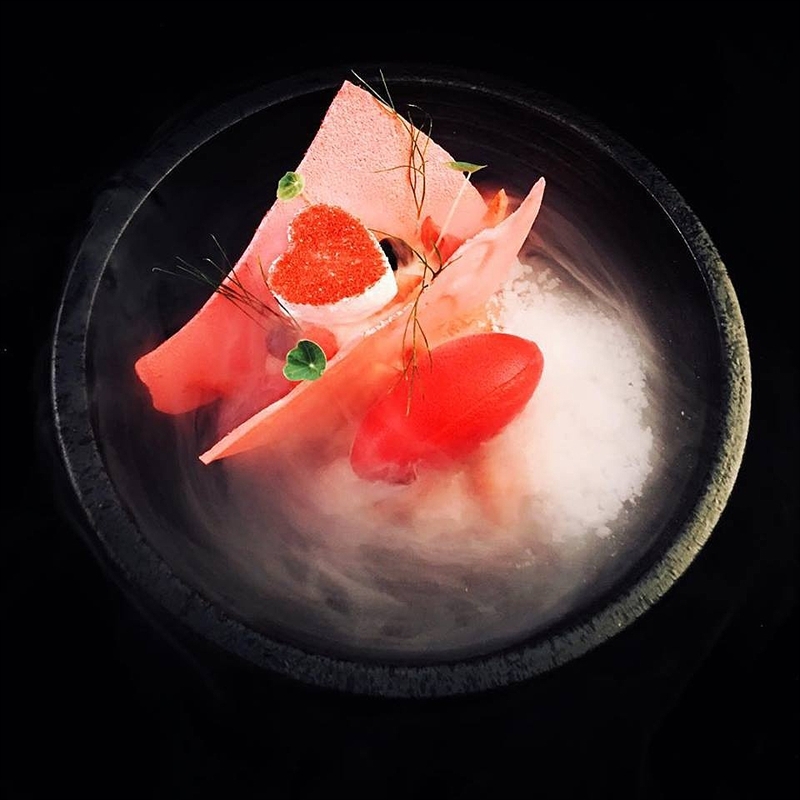 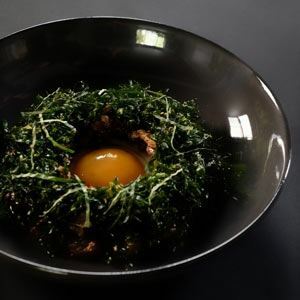 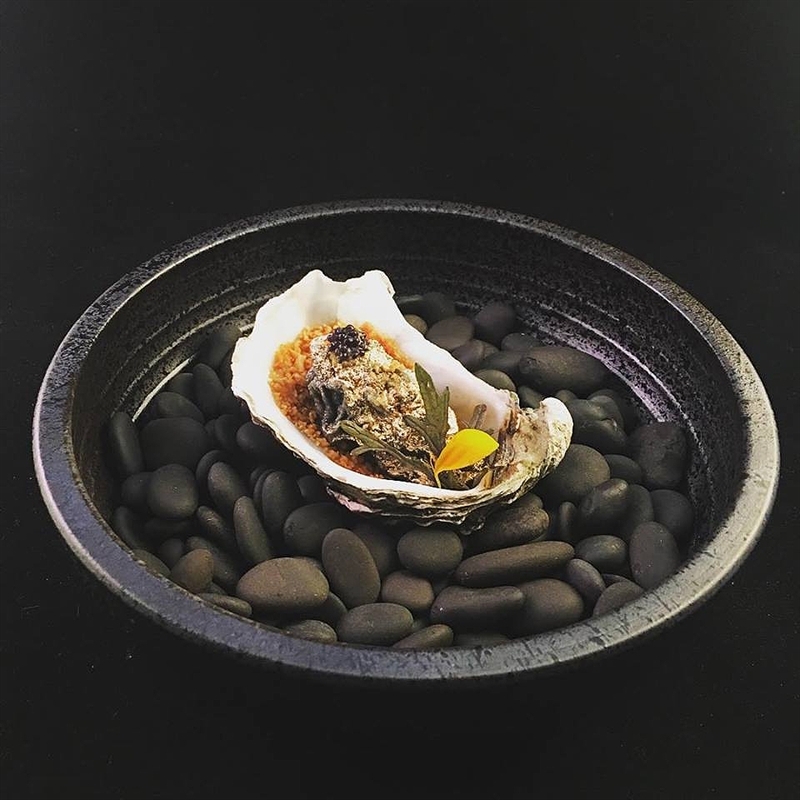 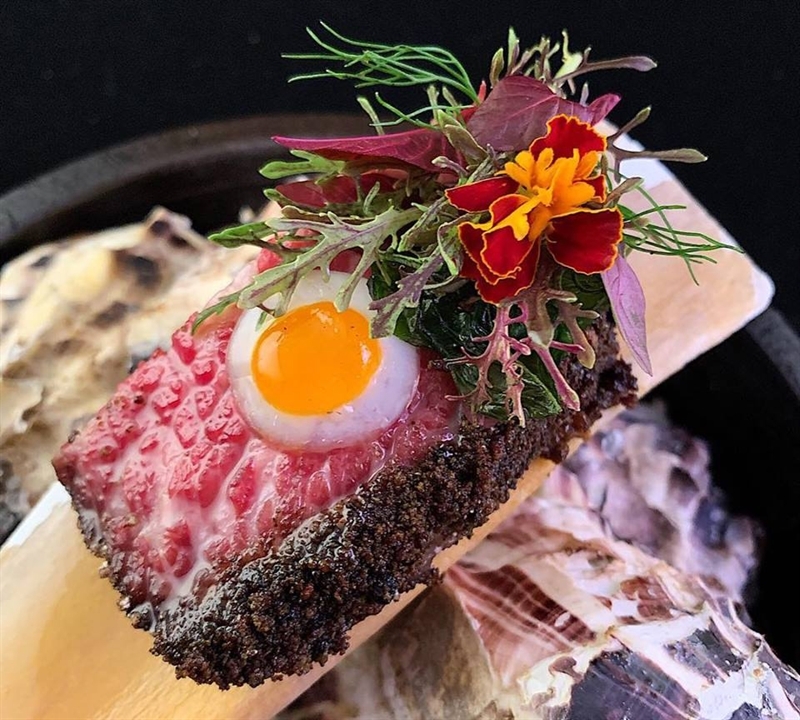 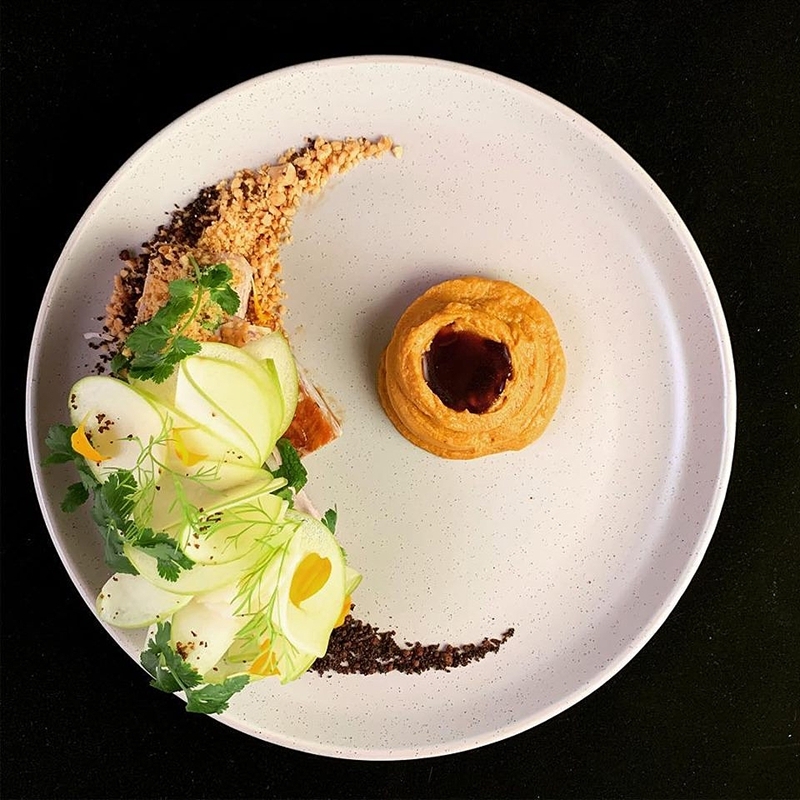 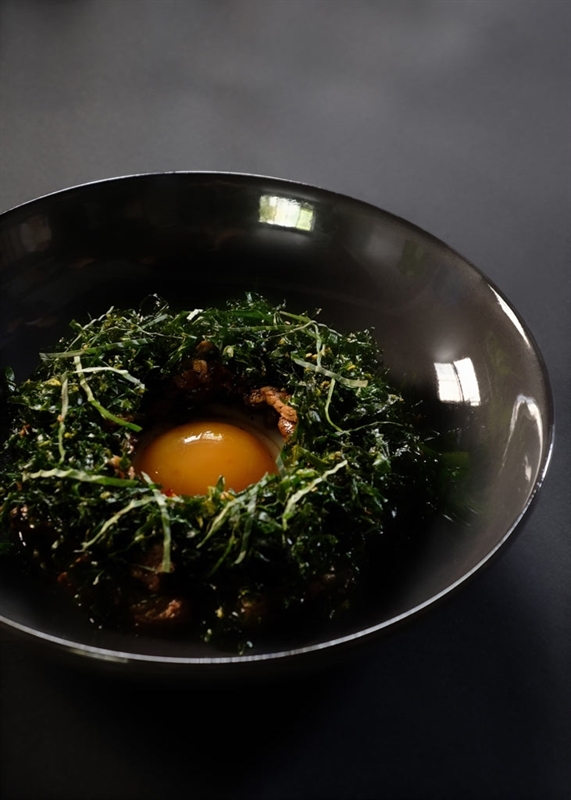 For an out of this world experience, land upon Liverpool Street in Darlinghurst and surface for air at Restaurant Moon. 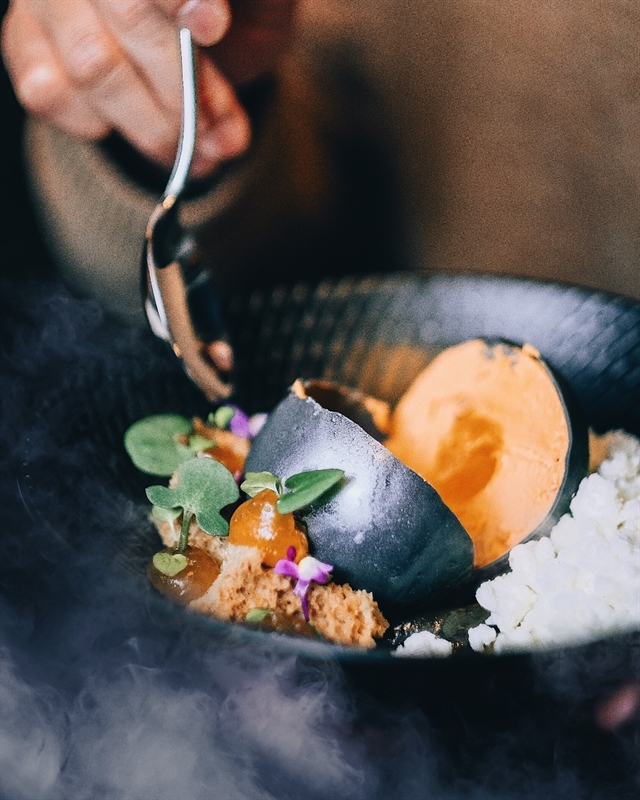 Discover an ethereal exterior of stacked sandstone and backlit signage inviting diners into a contemporary space styled with a monotone palette and themed features, like geometric moon artworks and ambient globe chandeliers. 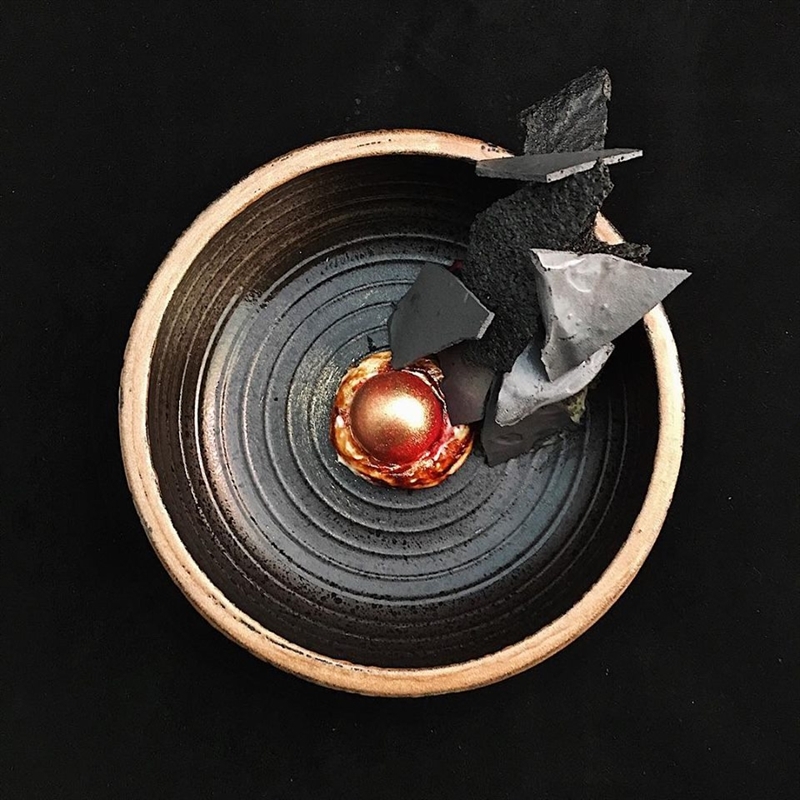 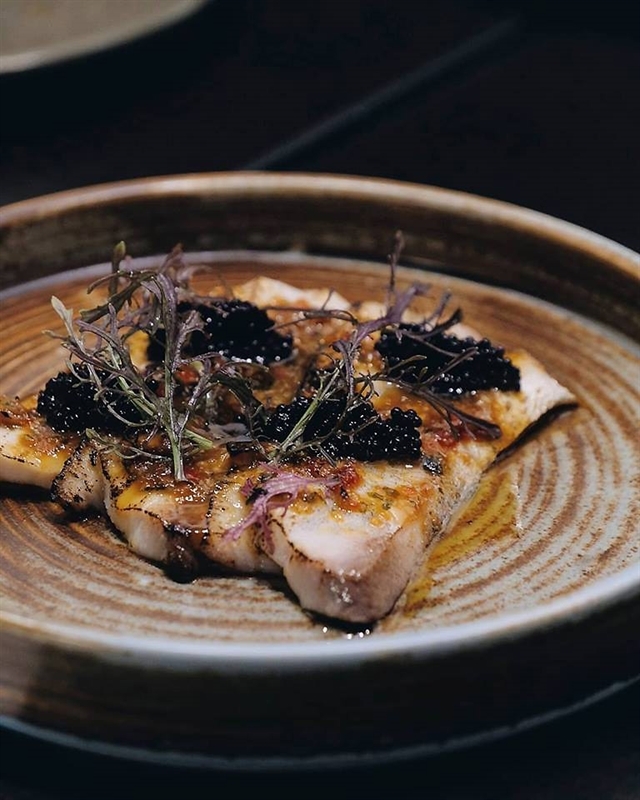 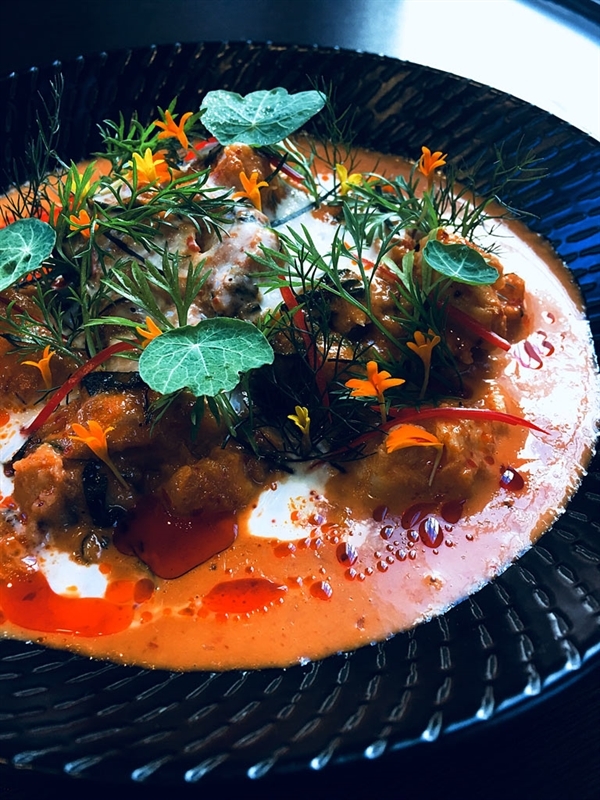 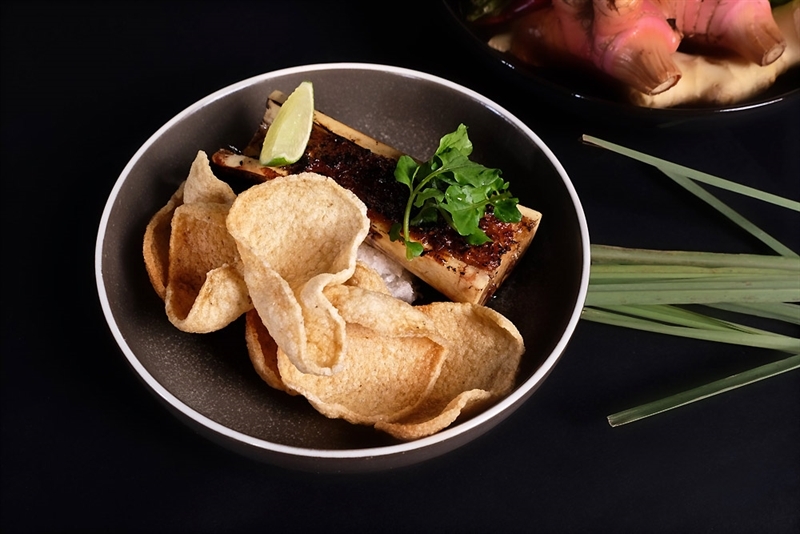 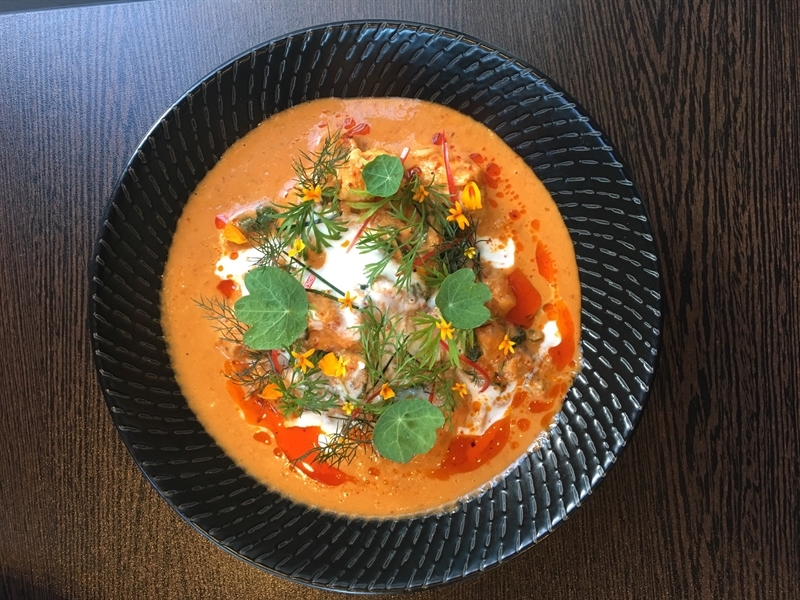 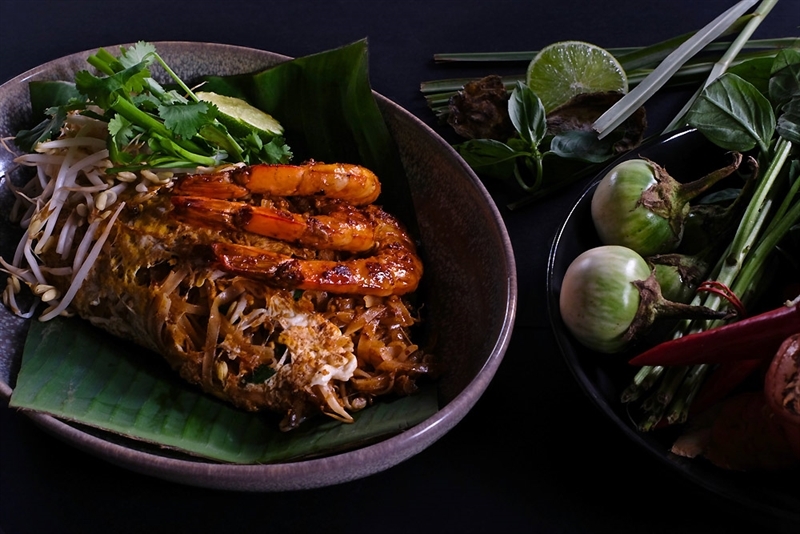 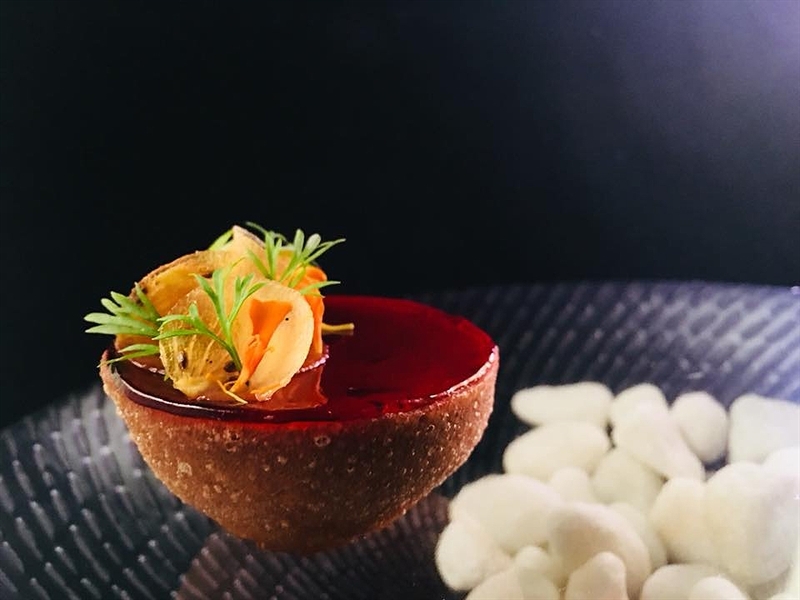 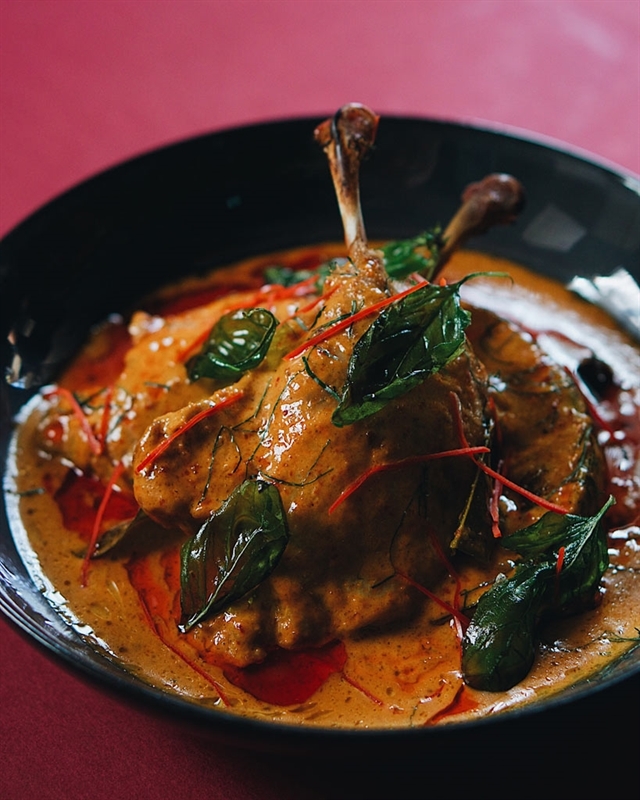 Chef Aum has brought with him a dynamic background of knowledge to create an inventive fusion menu of European-Thai, offering a culinary experience with visually stunning dishes. 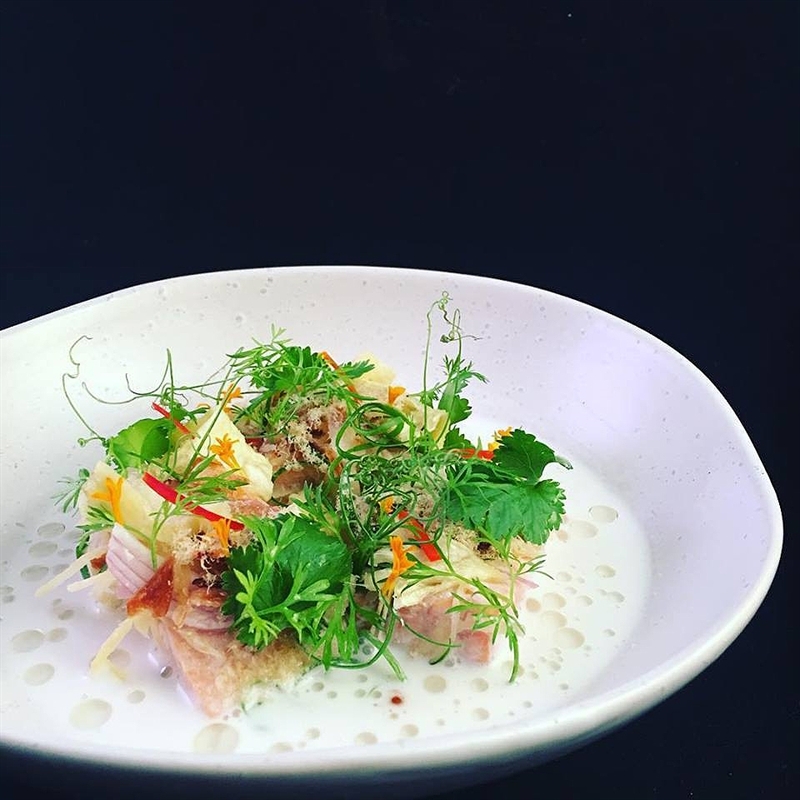 Begin with small crescent plates of kingfish crudo paired with sesame mayo and smoke jelly, before delving into full moon options like the Aylesbury duck confit with Penang curry and roast pumpkin. 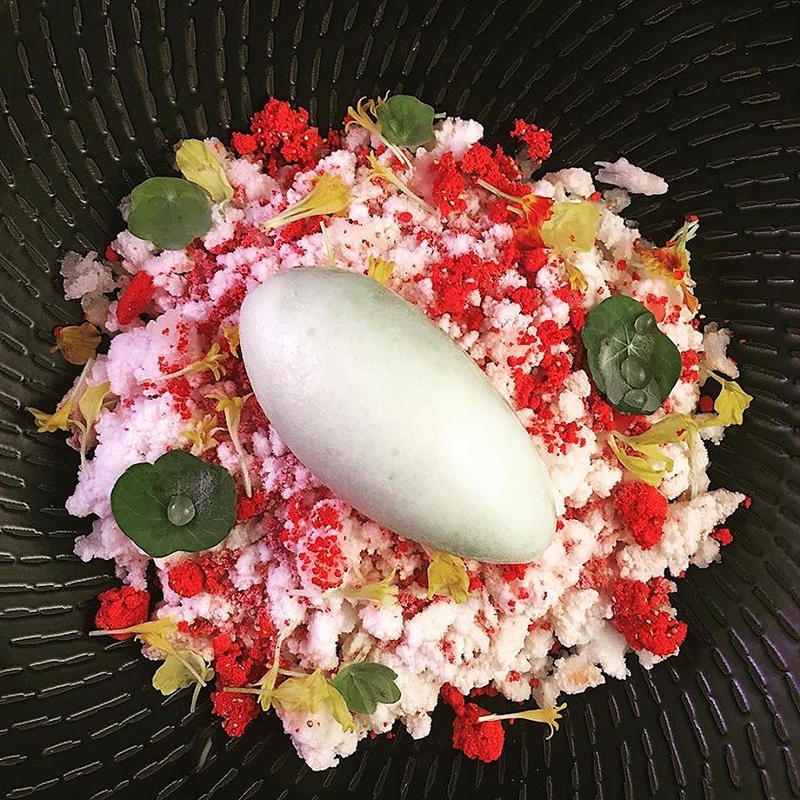 Finish with an over the moon dessert such as the Thai pannacotta of coconut. 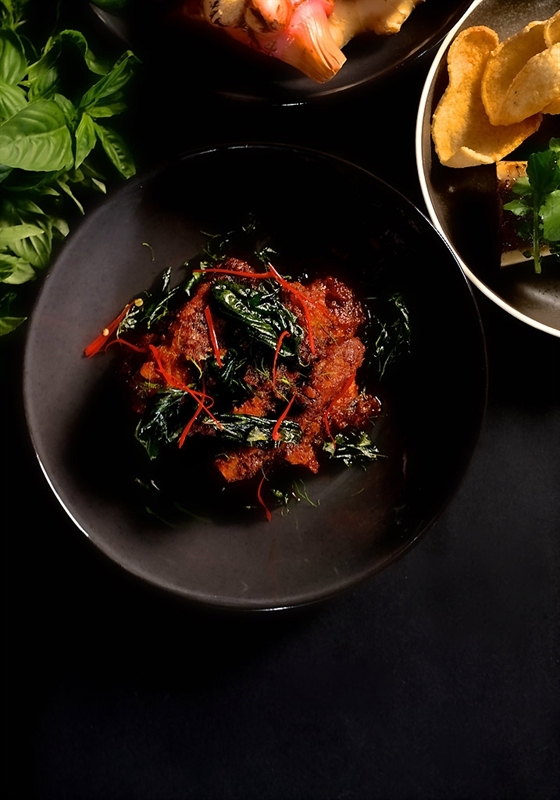 Angus beef sirloin and octopus confit, with basil and roasted chilli sauce.